Amis, Amis and Bond (2007). 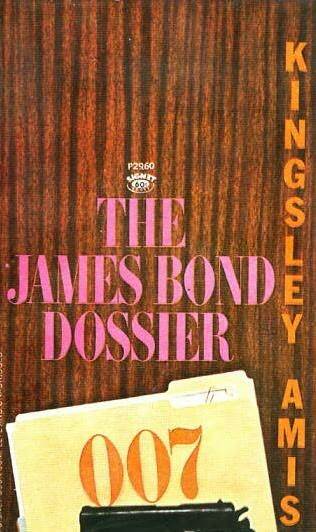 Martin Amis explores his father's obsessive interest in James Bond and the writing of Ian Fleming, with fellow Bond enthusiast Charlie Higson. Forty years ago, Kingsley Amis undertook an unusual project, analysing in detail all of Ian Fleming's James Bond books and compiling a guide to being James Bond for prospective spies, based entirely on Fleming's writing. I purchased both books whenthey first came out. and stuck it away also, they are boxed for 40 years. The link downloaded "You Only Live Twice" which I got (an enjoyed)a day or two ago. Thanks, the link should be pointing in the right direction now. 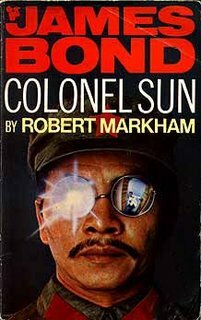 Isn't that the ever employable Burt Kwouk on the cover of Colonel Sun? Don't know but I don't think so. I always thought the cover was a painting rather than a photo.